Home Products Cardboard Box/Carton Self Lock (SIZE 1) x 50 WHITE - 225 x 125 x 65mm. Cardboard Box/Carton Self Lock (SIZE 1) x 50 WHITE - 225 x 125 x 65mm. 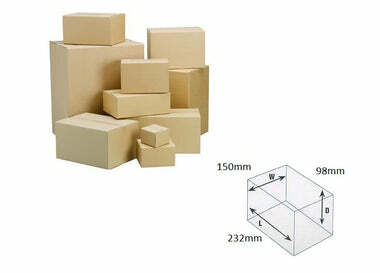 Cardboard Boxes Self Lock (White) Size (1) – 225 x 125 x 65mm. This listing is for 50 units.